Chock full of protein, minerals, fiber, and iron, lentils have been considered a powerful superfood since ancient times. We’d like to think that’s why Italians traditionally eat lentils on New Year’s Eve - to guarantee a prosperous and bountiful year to come (though it could just be because they reminded the Romans of tiny gold coins). The lentils from Bio Alberti farm in Poggio Aquilone, Umbria are small in size but brilliantly multicolored and bursting with earthy flavor. When you pass by the legume fields in Umbria, you can't miss the lentils, they create such a beautiful color as they grow; and an equally colorful meal on your plate! Aside from enjoying them as an auspicious side dish for your New Year’s feast, they also make a delicious warm-weather salad with a bit of fresh tomato, celery, and olive oil. Add them to your favorite vegetables for a hearty lentil soup, or mix them into any pasta dish for an extra nutritious boost. No soaking required - these powerful little lentils will cook up in about an hour and a half. We can’t guarantee they’ll bring you riches, but we can guarantee you’ll be making a traditional choice for good health! 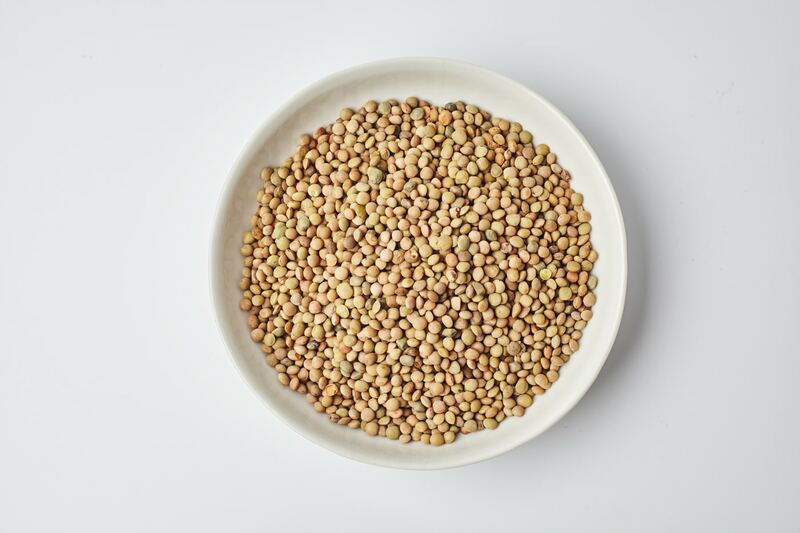 In addition to lentils, Bio Alberti also produce chickpeas, cicerchie (wild chickpeas), black beans, borlotti beans, cannellini beans, farro dicocco, farro monococco, and orzo (barley).